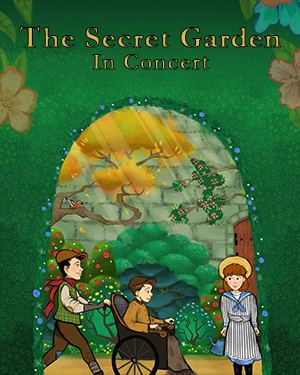 Crane River Theater is thrilled to partner with the Kearney Symphony Orchestra for our concert production of The Secret Garden. An enchanting adaptation of a classic family novel, this acclaimed musical will inspire audience members of all ages. After being orphaned in India, 10 year-old Mary is returned to England to live with her melancholy uncle at his neglected estate. Haunted by the ghosts of her past and the secrets of her uncle, she innocently unlocks the forgotten gate to an untended garden on the estate grounds. From its soil, fertile with memory and “magic”, springs hope and healing for them both. Crane River Theater is excited to partner with the Kearney Symphony Orchestra as we continue our Concert Series this spring with The Secret Garden. Comprised of talented instrumentalists from communities across the region, we are honored to share this opportunity with a symphony that has served Central Nebraska for over a century. In our usual fashion, Crane River Theater will bring in performers from across the country and merge them with area artists to present a concert staging of this enchanting musical.